Why HR should wake up to the idea of AI? AI (Artificial intelligence) – ability of a computer or machine to think, learn and react like humans. Integrating such technology with any platform could revolutionize it completely improving the experience and results in all aspects, whether it is your mobile phone or any robot. MNCs like Google, Apple and many more have been seen leveraging AI in their critical operations. Quick examples be Google Assistant and Siri respectively. You, yourself being an android or iOS user can think about the convenience. Why not use it in the HR domain? Experts believe that HR functions like onboarding, employee engagement and every other duty, which consumes good amount of time and makes HR job the toughest can be made easier through AI or HR technology. Several vendors of HR software provide AI functionality in their solutions, thus improving overall employee experience. Best example where you can see such blend is ‘HR chatbots’. These bots can be seen as an add-on feature of HR software where employees can get all their basic queries solved within seconds. Yes, these chatbots serve like virtual HR. Though there are many tangible benefits of AI for a business, for many, it still remains a question – “whether to invest in AI or not?” A recent study reported that more than 35% of businesses believe that they are too small for such a move. What these businesses are scared of? Implementation expense? If this is the case, then they are wrong. Robots and humans are two different minds. Strategically making a blend of both and using their capabilities in an efficient manner can deliver unmatched outcomes. Workload could smartly be distributed and get done minus chaos. One prominent benefit can be seen in hiring process. AI is used to filter out matching resumes based on keywords of JD and later a human resource professional takes final interview. Thus, saving time and being efficient at the same time. At times, it might happen that the HR gets biased towards an employee due to some reasons resulting in biased environment. This leads to negative culture with increasing employee turnover later on. And I am sure, you never want this to happen! Right? AI powered HR software can be set up to reduce such biased acts. The benefit of an algorithm assessment platform is that it allows you to perform payroll, attendance, hiring, and every other job, which may trigger trust issue in future. What are some important business roles? Accounting, recruiting best talent for major areas, and customer service. Right? Automated billing and payroll for concerned parties with AI based screening for recruitment and understanding customer needs to predict further needs and generating new leads are some basic features of HR software. This would enable HR leaders to spend more time on other important duties. Time is the biggest concern for HR world with AI being the solution. As discussed earlier, filtering the best resume could be crux part of overall recruitment procedure. 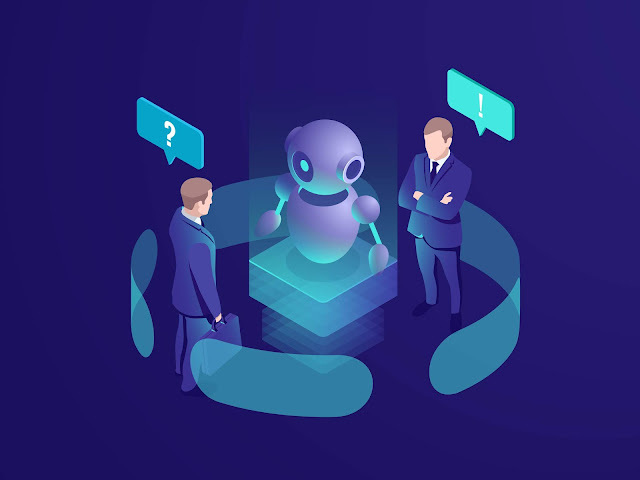 AI based automated process of filtering candidates can help reduce hiring time which could rather be utilized in some other meaningful business operations giving out desired results. AI helps you narrow the talent pipeline preventing you from wasting your energy on wrong candidates thus enabling you to make smart decisions. AI would be a great option for automating your everyday repetitive tasks which makes you dull and fell like skipping it. Some of them include solving simple queries from employees like pay slip info, leaves remaining, scheduling interviews, providing feedbacks, etc. and logging attendance. Instead such mundane tasks could rather be assisted by an AI powered software. This allows you to focus on other tasks where AI could not dominate or act. “The future is going to be revolving around employee experience” – stated by HR experts. Whilst, in companies employees may feel like lost and disengaged. To counter this, you may include a self-service portals for employee assistance where they can check HR details like their pay-slips, attendance, loan details and many more. Assistance like HR bots included in your HR software may be helpful in enhancing your employees’ experience. Here’s the biggest concern: Will AI end up eating my job? Similar jobs like mentioned above could see a decrement in employment. Jobs that don’t require emotional intelligence or renewals could experience change. Rest won’t. So nothing to worry about much. Perhaps AI at your workplace assisting you in some activities and later anyhow contributing towards employee engagement deserves a welcome. If a small investment could save huge money through improved retention and lowered errors in accounting and payroll, then what’s wrong? So, here arises a question – To AI or not? The decision remains with you and totally depends on your business type and requirements. After all, humans are indeed better than robots! But AI can be useful in many areas where data science is the need. AI efficiency is best proven when it has previous data whereas humans have emotions. Both are separately effective to a business. Anyways, not to forget, AI is definitely going to revolutionize the future of human capital. Excel sheets, spreadsheets and every other HR process performed today will seem like stone-age activities. Now it’s your time to make a call. Ritik Singh writes about HR (Human Resource) software, cloud and enterprise technology. A dynamic content writer who writes for Pocket HRMS, a leading provider of cloud based HR software with inbuilt AI-powered HR chatbot (smHRty) to small and mid-sized businesses across India. TechFond - Latest Technology | Analysis | Enterprise | Startups | Product Reviews | How Tos: Why HR should wake up to the idea of AI?